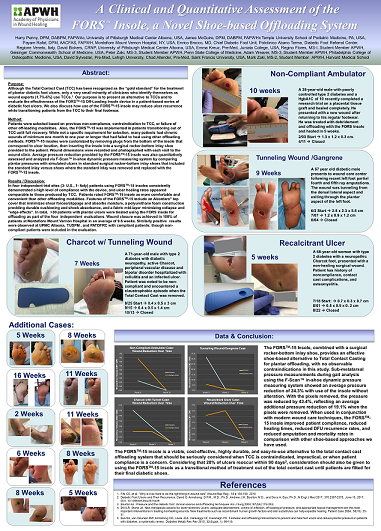 Dr. James McGuire of Temple University at Academy of Podiatric Continuing Medical Education, Fairlawn, NJ, 1/15/2017. 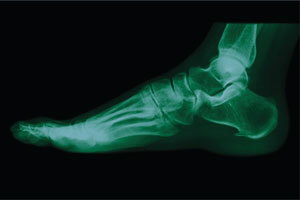 What makes Saluber® orthotics and FORSTM-15 insoles an excellent choice? ALCANTARA®: Produced exclusively by Alcantara S.p.a. of Italy, ALCANTARA® covering offers a unique set of properties that is ideal for covering insoles and orthotics, including: a soft and supple finish, extreme durability, breathability, moisture-repelling, bacteria resistant, non-allergenic, and non-slippery. These same properties have made ALCANTARA® a leading material used to upholster many of the worlds finest automobiles, yachts, aircraft, and furniture. 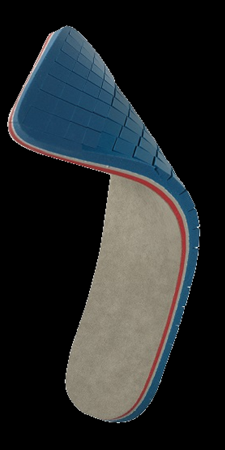 PORON®: Renowned for resilience and “spring-back”, PORON® absorbs shock, reduces heel and metatarsal impact and vibration, and helps maintain correct posture; thereby absorbing the vibrations transmitted to the joints and spine during walking.